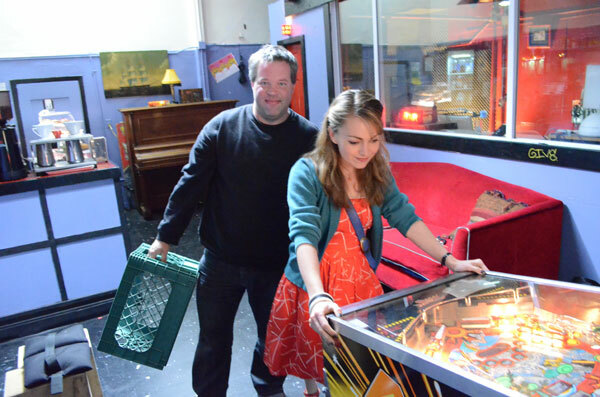 TJ Beyer will be joining me at California Extreme this weekend to talk about working with the games on the set of Pinball Donut Girl. TJ looks pretty happy considering we are about to start exploding his AFM….. 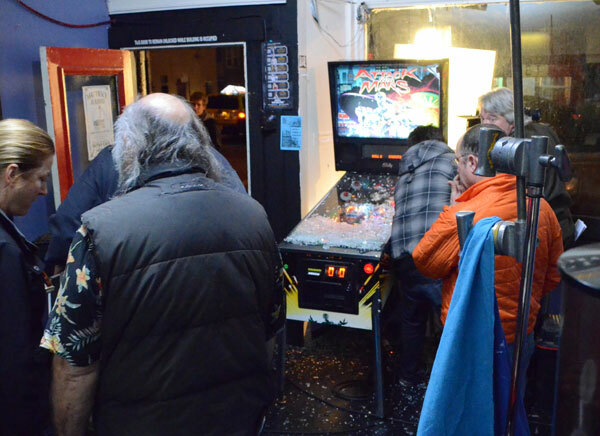 This entry was posted in Cast, Crew, Pinball People, Pinball Shows, Vintage Pinball and tagged Attack from mars, baily hopkins, california extreme, film, pinball, pinball shows, pinball tournament, san francisco, tj beyer by Anna Newman. Bookmark the permalink.